It was a gorgeous day when we pulled into Susan B.’s driveway in Spartanburg, SC. 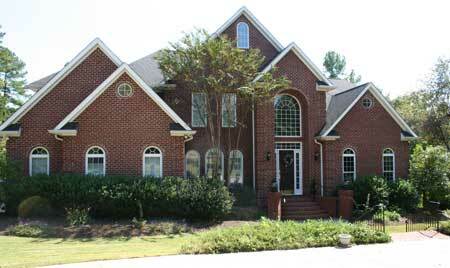 Susan has been a great client for years now, and we’re always happy to bring another piece to her beautiful home. 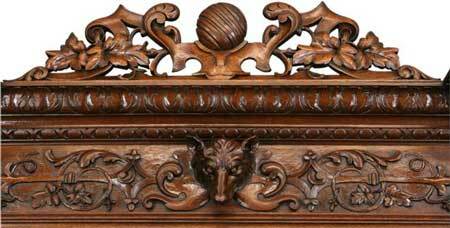 Susan picked this very high-quality Antique French Renaissance Hunting Buffet (circa 1880) because it has a wolf or hunting dog at the top that reminded her of her handsome pair of German Shepherds. I think it really looks wonderful in her living room next to the large oil painting of Venice, Italy. 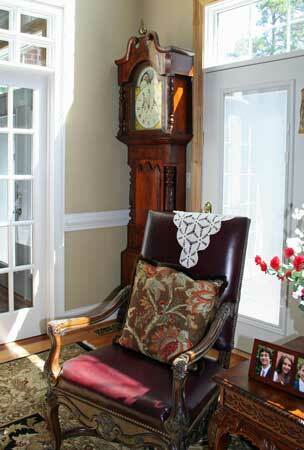 In the far corner of the living room near the large window and French doors is the gorgeous Antique Welsh Moonroller Grandfather Clock (circa 1810) that we delivered on an earlier trip. Susan loves its chime and enjoys singing along with the bong – bong – bong! 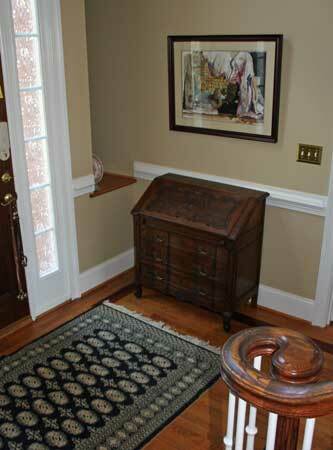 Susan placed a charming Vintage French Country Secretary Desk (circa 1950) near the front door at the bottom of the stairs as a useful place to keep keys and mail. 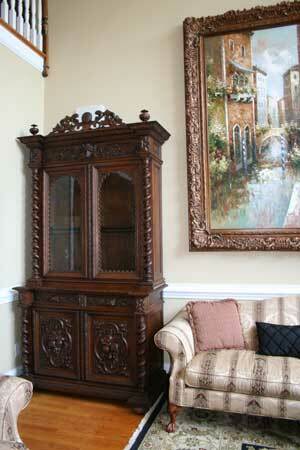 This pretty piece greets visitors as they come through the door and adds warmth to Susan’s lovely home. Downstairs in the large finished basement that serves as a family room, Susan added two Vintage Flemish Renaissance Cabinets (circa 1930s) for additional storage. 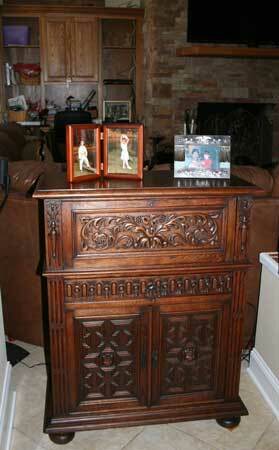 The large one replaced a fish tank and will give Susan a place to store personal items. The small one by the back door is perfect for goggles and sunscreen so the kids can grab them on the way out to the pool in the back yard! 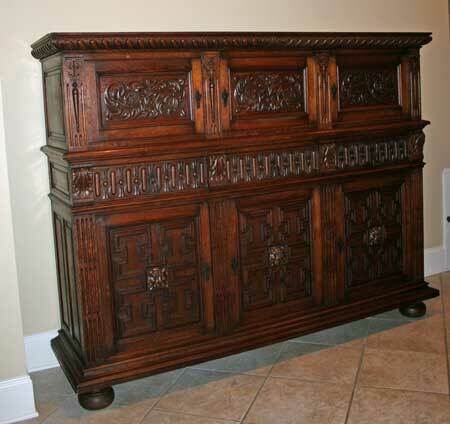 My photo didn’t turn out, but Susan also has a pretty Vintage French Country Sideboard (circa 1950) in the family room that is used to store towels for the pool. Susan has quite a few more pieces from EuroLux Antiques in the upstairs hall and bedrooms, but those will have to wait for another blog post. A big shout-out of thanks to Susan B. for her continued patronage – we appreciate you! 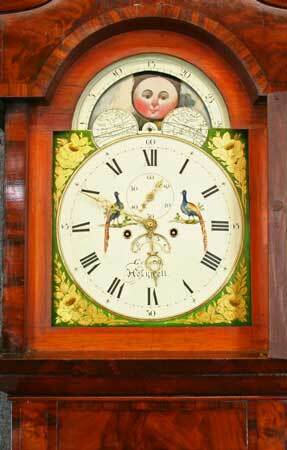 Thanks for stopping by the EuroLux Antiques blog and Best Wishes for 2012! 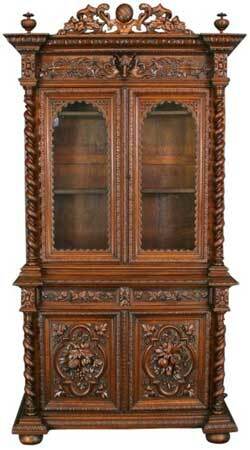 This entry was posted in Client Spotlight and tagged Antique Furniture, Antique Grandfather Clock, antique Renaissance buffet, EuroLux Antiques, Spartanburg SC on December 31, 2011 by euroluxantiques.